Westchester County and the Bronx! 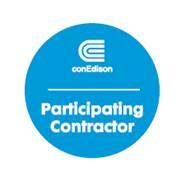 ​We are proud to be part of the Con Edison Participating Contractor network. We are a trusted partner giving you expert insight, advice and solutions that will create savings and lower your energy costs backed by extensive industry knowledge and the latest in green technology.